here in Maine dear Bam…the winter held on like cockle bur clinging sticky and deep in a wool sock and yet, just last evening when the spectacular sunset eased through it’s color wheel, i found myself thinking that the landscape is changing every day now, i missed the unfolding of days, the smells mostly vacant except for the refreshing pine. i stuck my nose up to the breeze like a dog in an open car window- wow! it’s coming, spring is finally emerging because i can smell it! oh my dear terry, how my heart leaps like a kite on twirly string when you pull up a chair. i love your poetic words — cockle burr, sunset color wheel…. 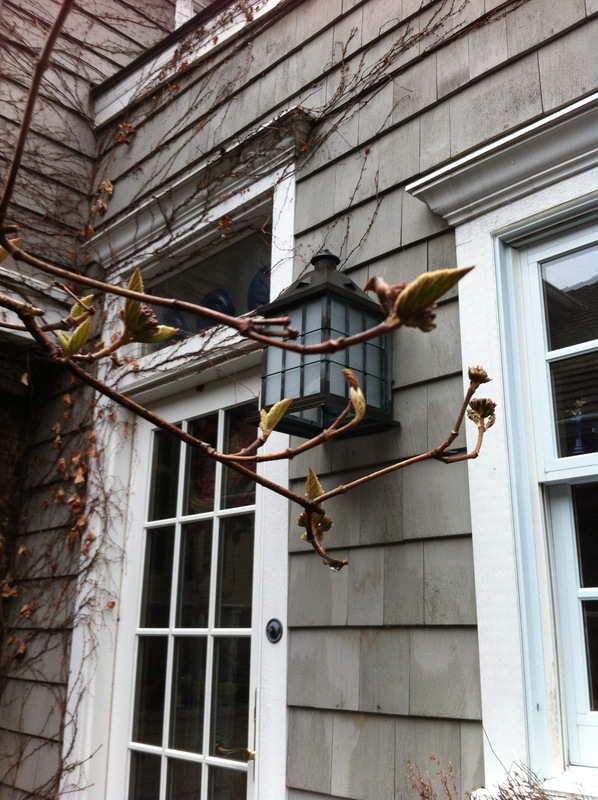 Stubbornly, slowly, our neighborhood is beginning to sprout….slowest going ever! 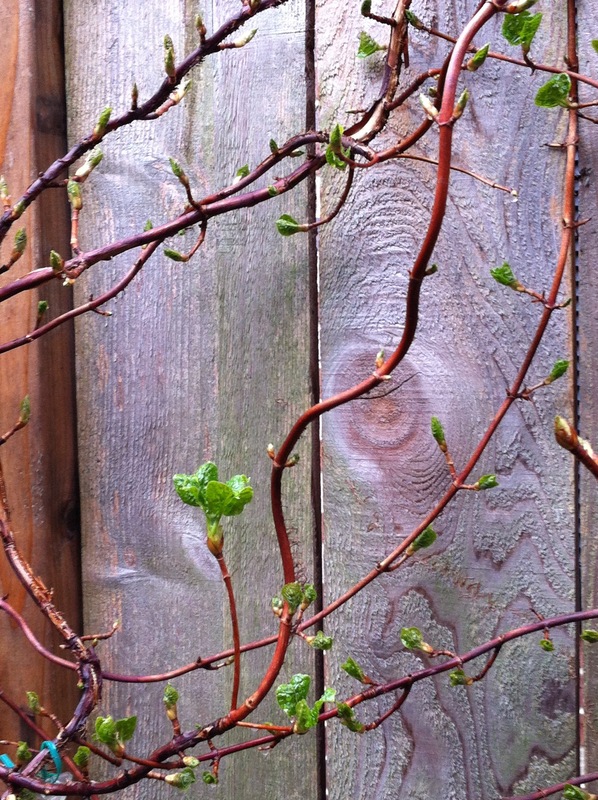 Yet the green buds are determined to push ahead, no matter how bullied by leftover winter attitude. 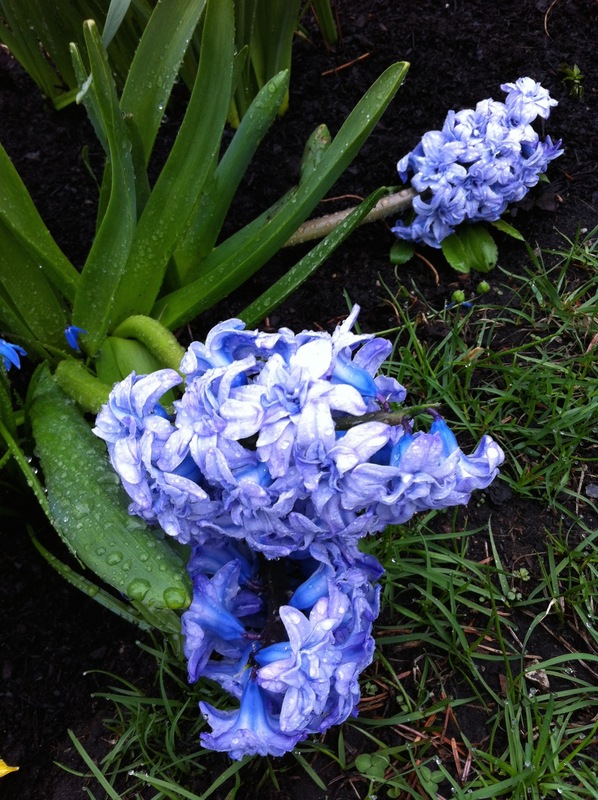 My biggest grin is reserved for the bulbs that have popped in our front yard. I did not plant those bulbs, but here they are, colorful decor in random spots. A few daffodils, a hyacinth and couple beginning tulips have all appeared, no doubt lifted from other yards and buried by some busy squirrels who thought I might need a bit of color in my “forest yard”. It is very Disney like. I also have some may apples whose origins probably came on the bottom of some shoes from Michigan. Spring has sprung and I await the full show.